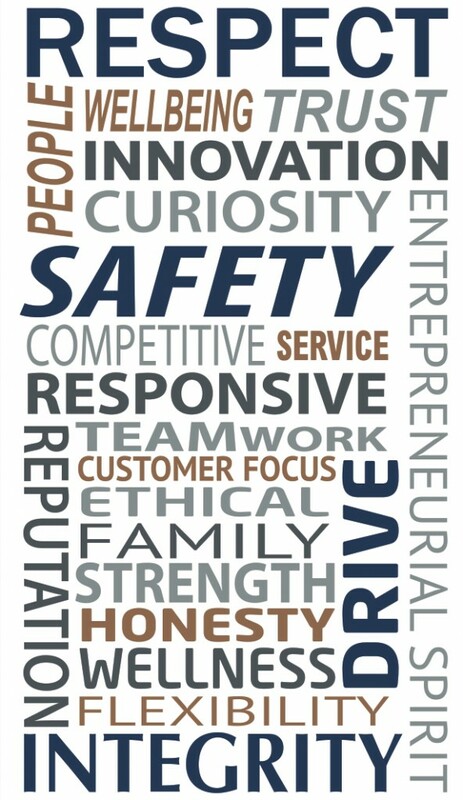 SAFETY, INTEGRITY, RESPECT and DRIVE are the four core values of Pennex Aluminum and the Metal Exchange Corporation family of companies. We lead with SAFETY because there’s nothing more important than the safety of our employees. For some organizations, safety is just a slogan, but for Pennex, it’s the only way we do business. INTEGRITY is at the core of all we do because our name is only as good as our word, and the way we do business is what sets us apart and what has led to our organization’s success since 1979. RESPECT is the cornerstone of our “one team” mentality. We work every day to create an environment of respect with our colleagues, customers, suppliers, industry and the communities in which we work. We wouldn’t have been able to achieve and maintain our position as an industry leader if it wasn’t for DRIVE. Our employees are the key to our success and it’s their passion that allows us to deliver on our commitments and delight our customers every day. Our Core Values are complemented by Pennex’s “Dual Bottom Line” philosophy: Our commitment to achieving an equal balance between our drive for financial success and the well-being, development and growth of our people. Pennex Aluminum is part of the Metal Exchange Corporation, one of the world's largest suppliers, processors and purchasers of non ferrous metals in the world.